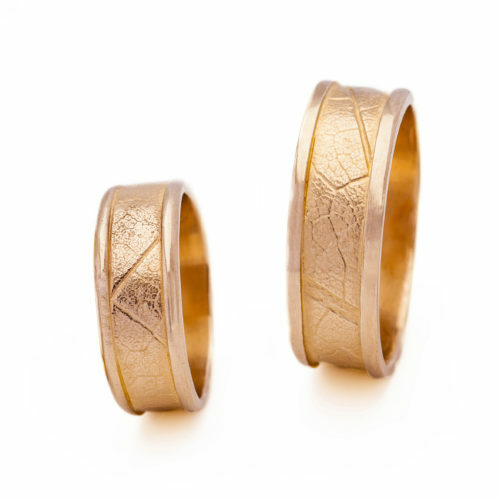 These rings are inspired by my natural surroundings, and are created in celebration of my acquisition of Canadian citizenship. The imprint of real leaves from Maple trees is elegantly bordered by more square rails or round rails . 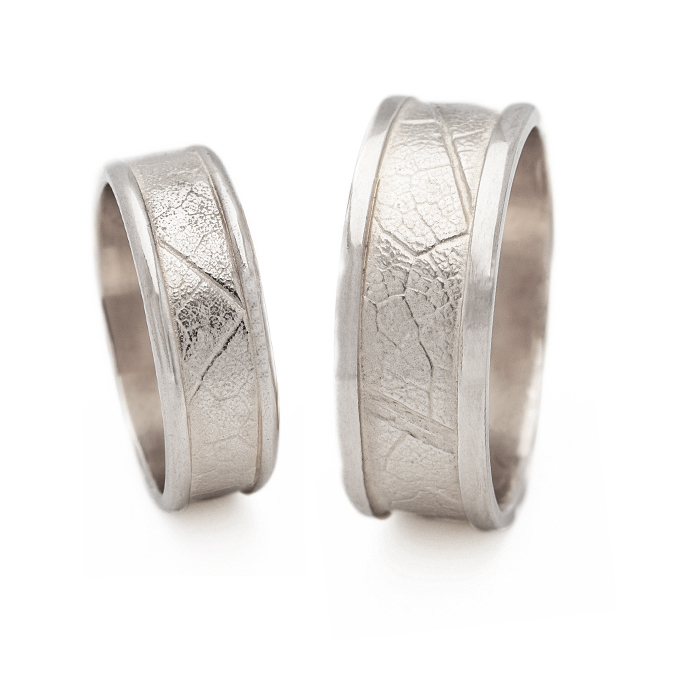 The texture of the leaves in silver, placed on the finger, is reminiscent of the texture of skin, and thus nature seems to form a cycle, as she does so well. Available also in 14k or 18k yellow gold, rose gold, white gold, or European green gold. 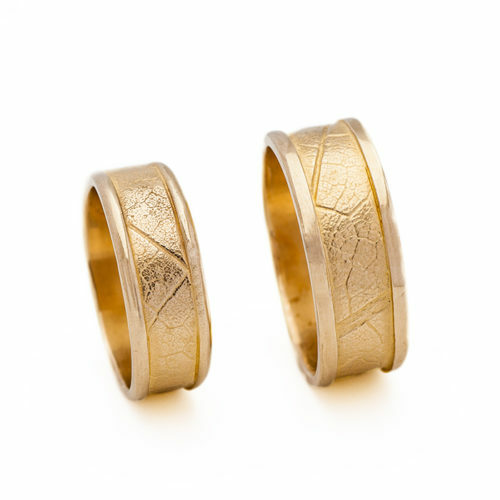 Please note that wedding bands should be made in gold, as silver will wear away over time. Price per each ring. You can let me know whether you’d like a ring with square rim, or the version with the round rim , or ‘doesn’t matter. Tell me in the ‘order notes’ section at check-out.